Guns are big money. In the past eight years, the dollars generated by the production and sales of guns and ammo have more than doubled. In fact, total economic impact of the firearms and ammunition industry in the United States increased from $19.1 billion in 2008 to $51.3 billion in 2016, a 168% increase. Meanwhile the total number of gun industry full-time jobs rose from approximately 166,000 to more than 300,00, an 81% increase in that period, according to a report released by the National Shooting Sports Foundation (NSSF), the industry’s trade association. Read NSSF Report Highlights HERE. The shooting industry’s economic impact rose from $49.3 billion in 2015 to $51.3 billion in 2016, a nearly 15% year-over-year increase. We can expect trends to slow down a bit with the election of President Trump, but recent years have still shown remarkable growth. 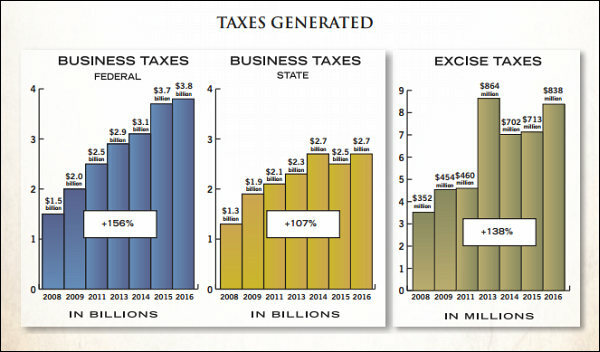 The firearms and ammunition industry generates sizable tax revenues. In the USA the industry and its employees pay over $6.5 billion in federal and state taxes including property, income and sales taxss. The Firearms and Ammunition Industry Economic Impact Report: 2017 provides a state-by-state breakdown of job numbers, wages and output covering direct, supplier and induced employment, as well as federal excise taxes paid. Download the full NSSF Report HERE. 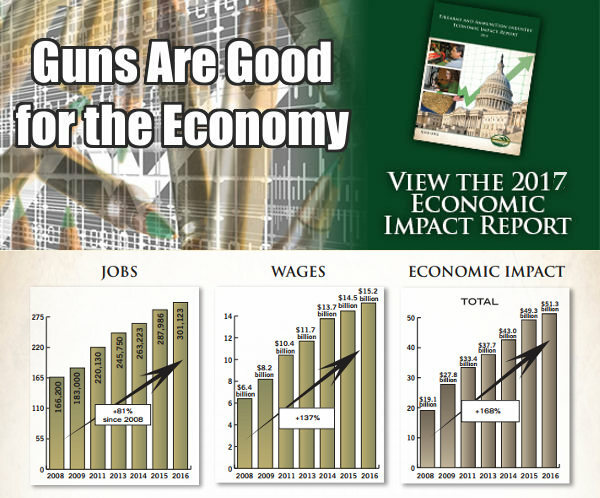 Share the post "Gun Industry Tops $51.3 Billion in Economic Imparct"
Big news for M1 Garand fans. 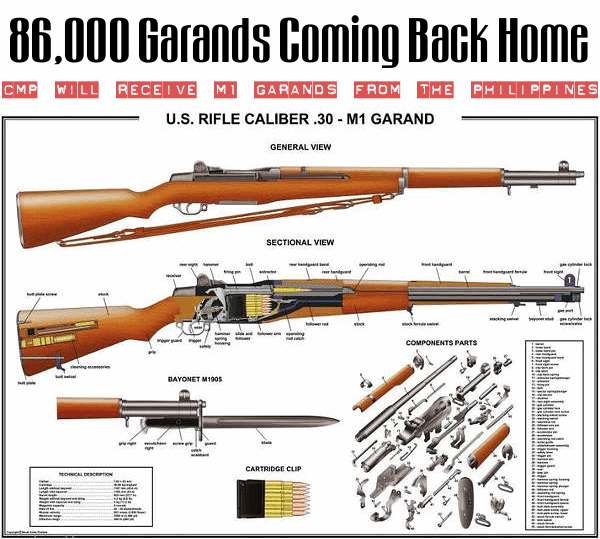 The CMP recently announced that it should be receiving 86,000 M1 Garand rifles from the Phillipines. These WWII-era battle rifles were originally loaned to the Phillippines government through a Military Assistance Program. As “loaners”, they could eventually be repatriated to the United States. It looks like these old rifles will finally be coming home. These historic rifles can be returned to the USA and the CMP because the rifles were originally loaned to the Phillipines government through the Military Assistance Program, a more modern version of the “Lend Lease” program that provided arms and assistance to U.S. allies during WWII. Alloutdoors.com explained: “Since these rifles were loaned, not purchased outright, they are eligible for return to the U.S. Army and then the CMP”. As the CMP has not yet seen or graded the M1 Garands, the typical condition of the rifles remains unknown. But with so many rifles coming back the the USA, we can expect there will be some in very fine condition. It make take a long time for the CMP to inventory all 86,000 Garands and eventually list them for sale on the CMP Store. 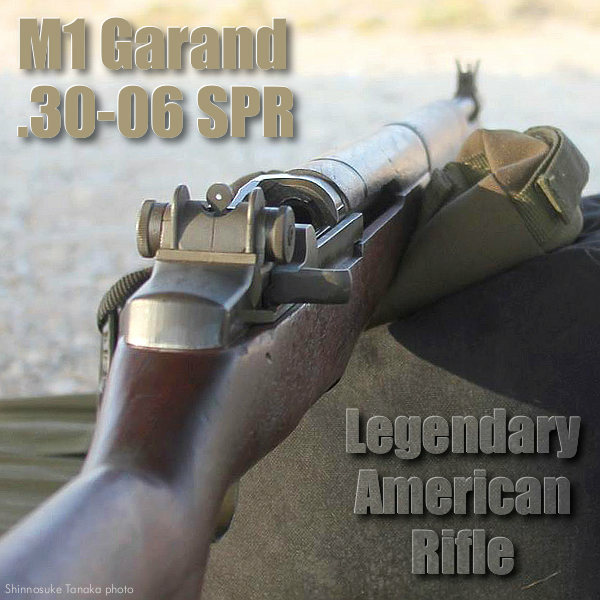 Share the post "CMP Announces Repatriation of 86,000 M1 Garands"